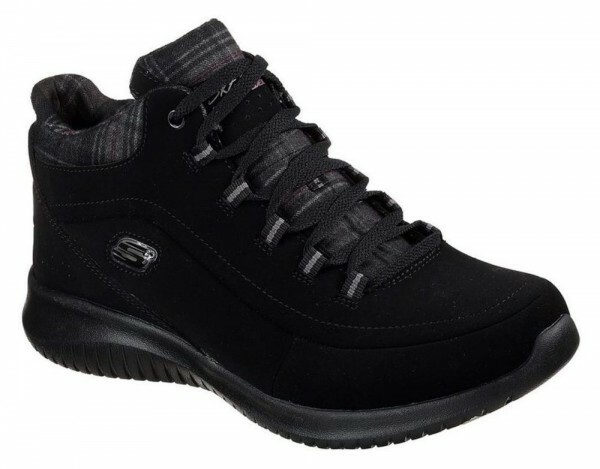 Product information "Ultra Flex - Just Chill - Black Textile"
Ultra-light ankle boot from Skechers. This boot has a gorgeous black nubuck upper with a lace closure which allows for easy on/off while keeping the foot secure. An Air-Cooled Memory Foam insole ensures all day comfort. This boot will provides breathability & underfoot cushioning. Related links to "Ultra Flex - Just Chill - Black Textile"
Customer evaluation for "Ultra Flex - Just Chill - Black Textile"